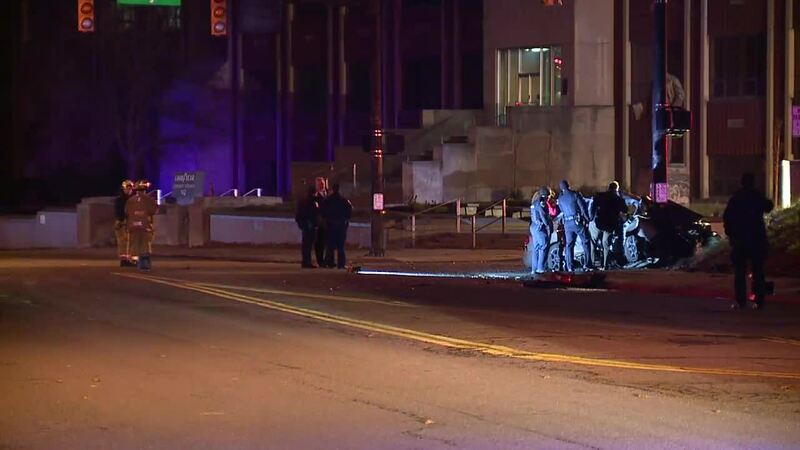 The Summit County Medical Examiner's Office has identified two victims in a fiery crash that killed four people in Akron Monday morning. Officials are asking for the public's help in identifying the other two victims killed in the crash. 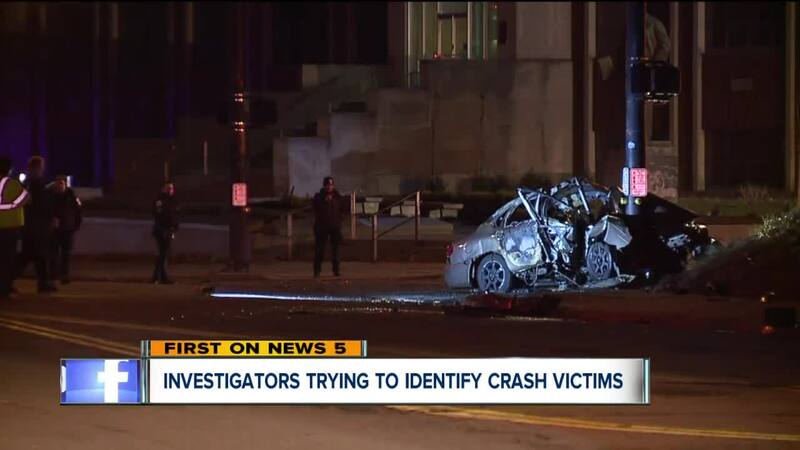 On Tuesday, the medical examiner identified the driver as Colleen Wood, 29, of Akron and the front seat passenger as Alex Lester, 29, of Ravenna. At this point, investigators are unable to identify the other two men who also died in the crash. Shortly before 3:30 a.m. on Monday, a car traveling west on Goodyear Boulevard near Kelly Avenue with four occupants inside traveled off the road and struck a cement retaining wall. Authorities said speed does appear to be a factor in the crash. The medical examiner is asking for the public's help with identifying the other two victims in the crash. "Anyone who might have any information on these two unidentified deceased males are asked to call the Summit County Medical Examiner’s Office at 330-643-2101," states a news release from the office.